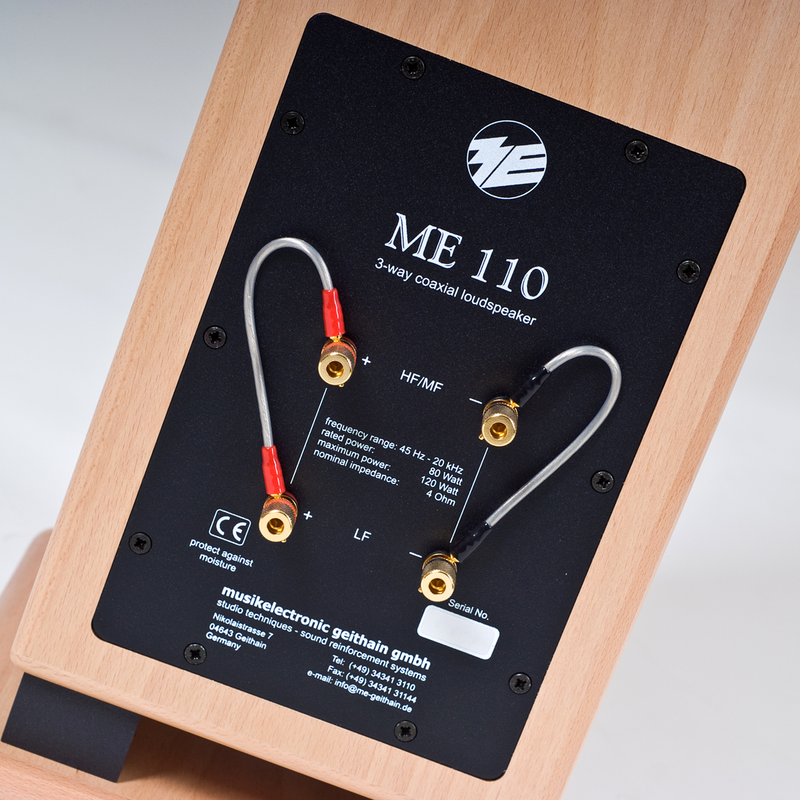 The ME 110 passive 3-way coaxial loudspeaker is the smallest floorstanding loudspeaker in our ME series. 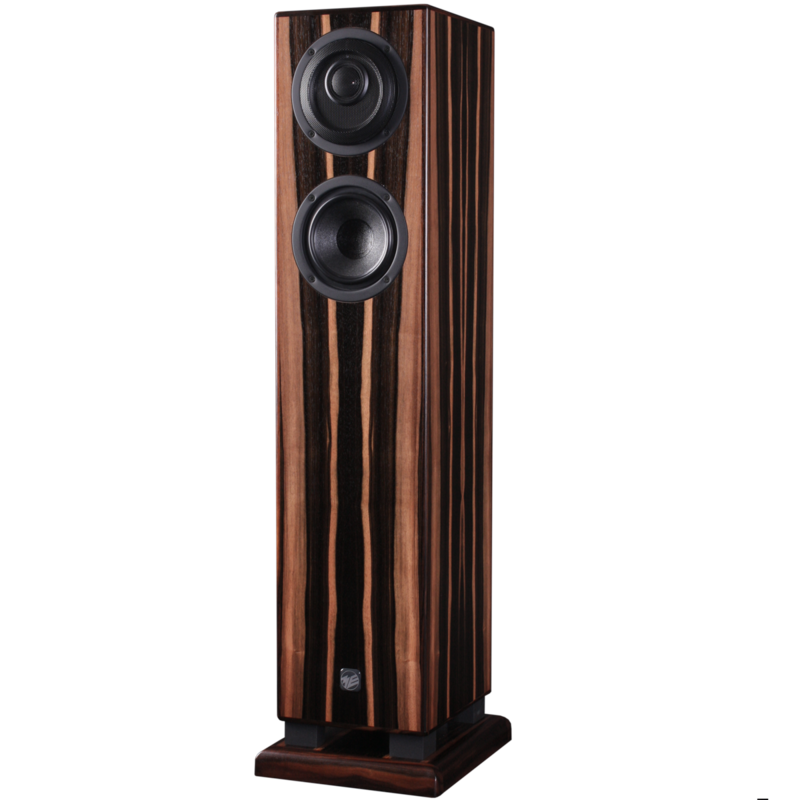 Its two 5-inch cone loudspeakers, which reproduce the bass and middle frequency range, convince with excellent converter linearity. The ME 110 passive 3-way coaxial loudspeaker is the smallest floorstanding loudspeaker in our ME series. Its two 5-inch cone loudspeakers, which reproduce the bass and middle frequency range, convince with excellent converter linearity. They are fitted into a bass-reflex cabinet with a downward-radiating exit opening. This design simplifies the positioning of the loudspeakers for achieving optimal bass reproduction in your listening room. A 1-inch calotte serves as tweeter unit, located coaxially in front of the upper bass-midrange system. The particular radiation characteristics, in connection with the coaxial arrangement, allow a homogenous and natural sound image for a basis width between 1.50 m and 3 m. Using a suitable AV receiver, the ME 110 floorstanding loudspeaker can be complemented with our BASIS 11K subwoofer. The general concept of the passive 3-way coaxial loudspeaker ME 110 is characterised by its well-balanced and low-distortion sound image and its dynamic qualities.